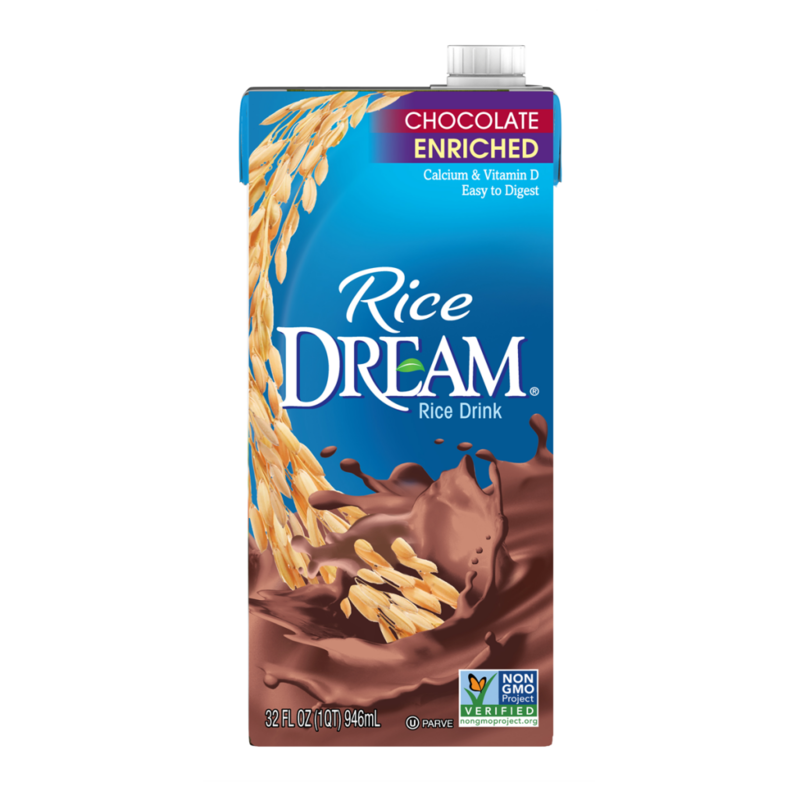 Rice DREAM™ Enriched Chocolate Rice Drink has a deliciously light and refreshing flavor with a hint of sweetness from rice and the satisfying taste of chocolate. It’s easy to digest and 99% fat free with no cholesterol, and it’s enriched with calcium & vitamin D. So feel free to pour it on – on cereal or fruit, in your favorite smoothie, or just have a cold and satisfying glass. 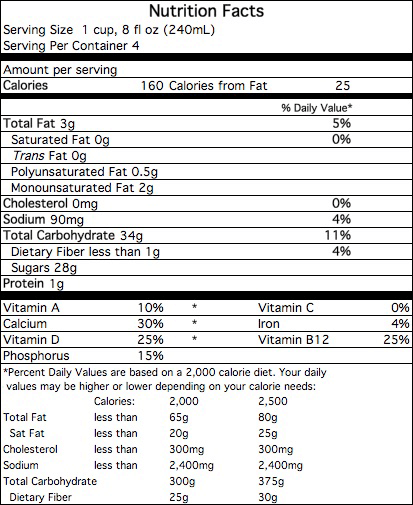 FILTERED WATER, BROWN RICE (PARTIALLY MILLED), COCOA (PROCESSED WITH ALKALI), EXPELLER PRESSED CANOLA OIL AND/OR SAFFLOWER OIL AND/OR SUNFLOWER OIL,TRICALCIUM PHOSPHATE, XANTHAN GUM, NATURAL FLAVORS, SEA SALT, VITAMIN A PALMITATE, VITAMIN D2, VITAMIN B12.